These are some of the places I have been and some of the things I have seen. The Grand Canyon was really interesting many people were visiting the location from around the world. It is a breath taking view. The location has a bookstore and memorabilia store and small eatery that offered drinks, sandwiches and fruit. I saw a moose animal on the visit while we were leaving. 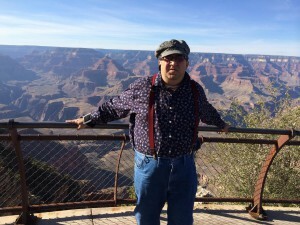 I went with relatives and drove in a van in the month of April 2014. We went with a group of about 12 people in two vans. The majestic view was an awesome experience this was the second time I visited the Grand Canyon. The first time I was too young to remember. My uncle had a pass that allowed us passage on to the park for free. There was a bronze plaque celebrating the opening of the park that was dated in the 1930’s. The park has chairs to rest and rocks formations. Rails line the viewing area. Many people were posing for photographs. It was very peaceful with no vendors waking around. We stayed for about 2 hours. My visit at Stone Hedge in England was very interesting I went in 2013 right after the Olympics in September. I went with my parents. Stone hedge we had an audio tour with five stations with a radio receive at each post the that spoke to us about the exhibit. I used a Sony video camera to capture the audio at each post and recorded the audio presentation while walking around the exhibit. The exhibit is 5000 years old. I think there may have been wood at one time in the structure but that is my opinion . The whole area was missing any trees. You could play a round of golf in the outside area as it was large enough. 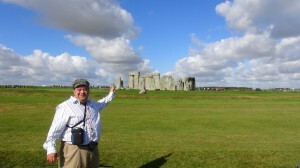 I also visited Henry the VIII house and Shakespeare’s house while visiting England. I also visited the Crown Jewels exhibit. The most fascinating was the gold punch bowl at that exhibit. While at Shakespeare’s house we were serenaded by a poet that spoke a one Shakespeare’s Works. The food was very good. King Henry VIII house had a very large garden and outdoor walking areas and very large rooms. Many paintings were being Exhibited in the House at the time. An elderly person would get very tired fast walking around such a big house. My mother would have needed a wheel chair so she did not go. One interesting thing I found was at the subway in England the restrooms required coins to operate. I found this to be very annoying and insulting. There must be a paper shortage in England. They should try and find a better way to tax people than be unsanitary. 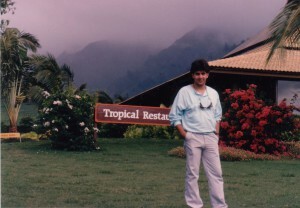 My visit in Hawaii was when I for my 21st birthday the picture was near the Intercontinental Hotel on Maui. The food was a bit expensive. We did run into celebrities there Jerry Lewis and Steve Martin and Bernadette Peters, while at the hotel. The beach was very clean and nice. Very peaceful and friendly people temperature was very nice. I had a rather large omelet for breakfast at a restaurant. Excellent Food, and an abundance of fruit.